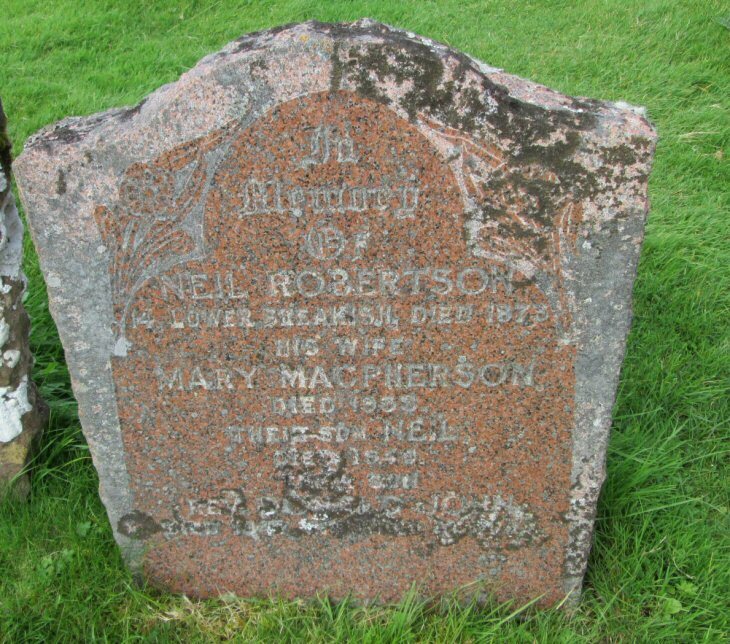 Skye Gravestones | Neil & Mary (Macpherson) Robertson, s. Neil. Neil & Mary (Macpherson) Robertson, s. Neil. In/memory/of/NEIL ROBERTSON/14 Lower Breakish died 1875/his wife/MARY MACPHERSON/died 1905/their son NEIL/died 1940/their son/Rev. DONALD JOHN/died 1947 interred at Jura. "Gus am bris an la." This is the grave stone of my great grandparents.